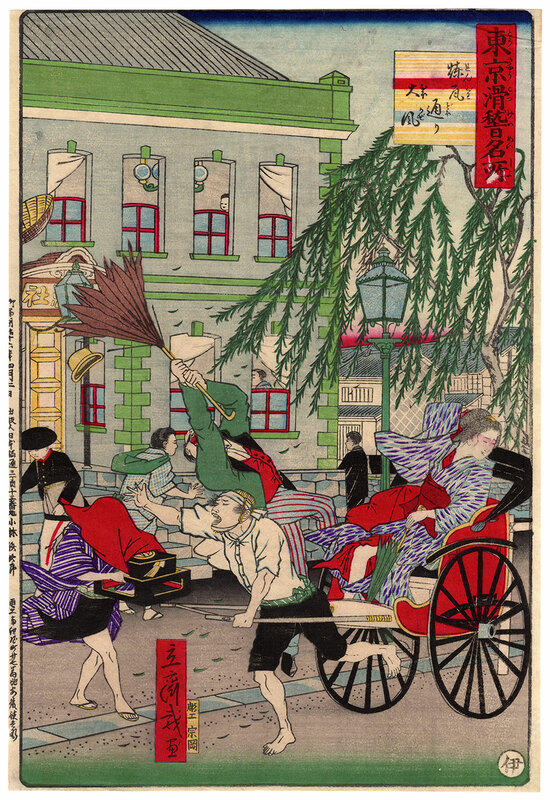 Funny polychrome large vertical format woodblock print made in 1883 by the artist Utagawa Hiroshige III (三代目歌川広重). The work is taken from the series "Humorous Views of Famous Places in Tokyo" (東京滑稽名所) and is titled "Great Wind on the Brick Road" (煉瓦通り大風). A strong gust of wind animates the routine of the Japanese capital, raising leaves of willow, hats, umbrellas and clothes of passersby. 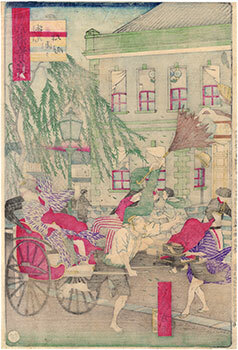 Beyond the comic intent of the representation, the artist photographs the interesting coexistence in the urban scenario, during the modernization of the Meiji period (明治時代), of elements of tradition, such as the human traction transport vehicle jinrikisha (人力車), with elements of Westernization of Japanese society, such as the dress of the passerby dealing with the umbrella or the masonry building with European chandeliers and curtains, the seat of some company of which we see a part of the sign. 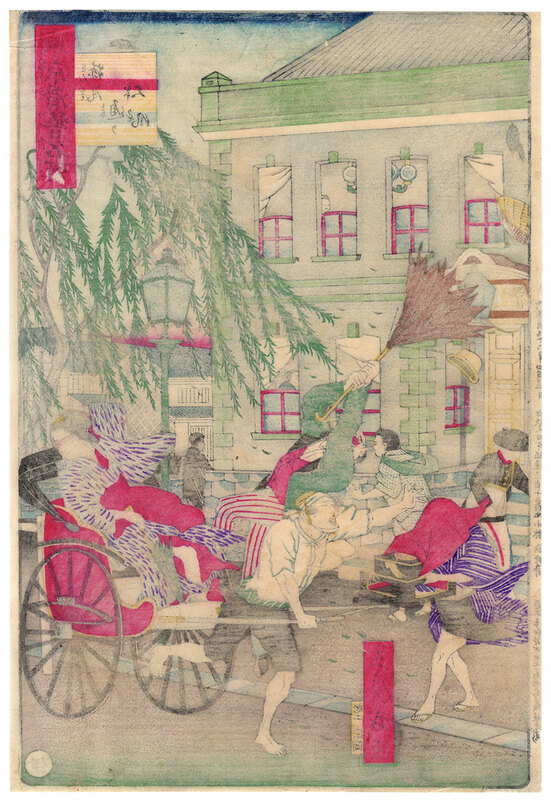 The rare woodcut on Japanese washi paper (和紙), printed by the publisher Kobayashi Tetsujiro (小林鉄次郎) with the collaboration of the engraver Muneoka (宗岡), is in very good general condition.